The first day of school marks the beginning of endless possibilities. New school supplies and a new backpack of course make going back to school more bearable. I still carry a backpack to school (work) because it fits all materials for class, but for those of us who have graduated, an adult backpack is very trendy. 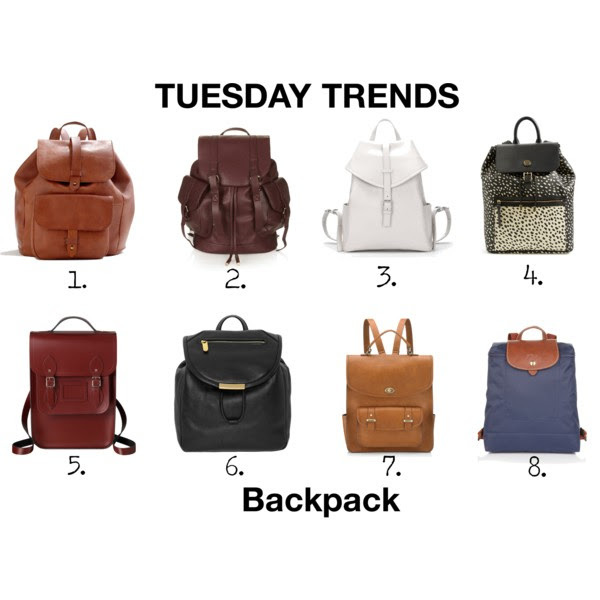 There are so many types and colors, but my favorites are leather backpacks, although a bit pricy, they are very durable, but I’m not opposed to a cute vegan backpack too. Here’s to a fashion-forward school year.